Why depart from Rainbow Beach? 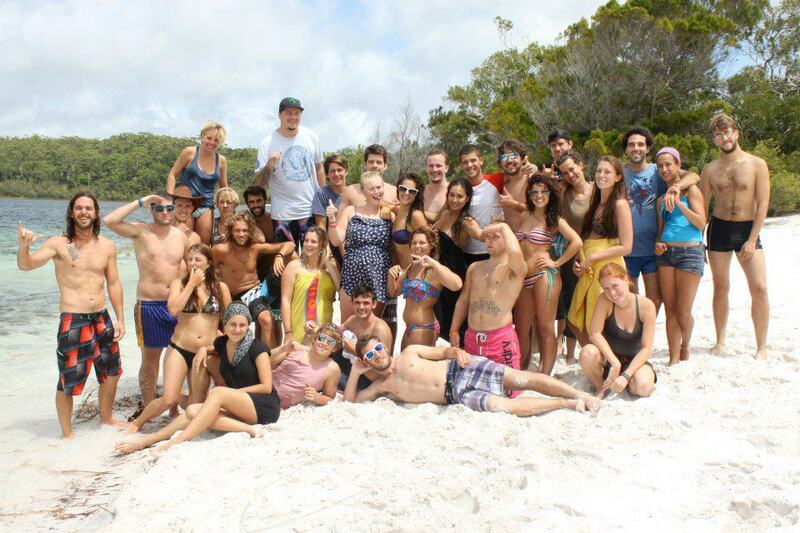 Experience the Ultimate Australian Beach Adventure on Fraser Island from Pippies Beachhouse Rainbow Beach, we supply everything from Hostel accommodation, 4wd Hire to all Camping Equipment required on Fraser Island, and it is all done from Pippies Beachhouse at Rainbow Beach. making more time to experience the worlds largest sand Island! Self contained 2 Bedrooms Unit situated in the heart of Rainbow Beach, just a short walk to the beach and Main street. Pippie's beachside spacious fully self contained apartments. Bed in 4 share dorm Unit. Fresh linen, private bathroom, kitchen facility Ideally situated just minutes to the beach, shops, restaurants and all other amenities. Amazing location these apartments are perfect for a comfortable and memorable stay in Rainbow Beach. Self contained 4 Bedrooms Unit situated in the heart of Rainbow Beach, just a short walk to the beach and Main street. Pippie's beachside spacious fully self contained apartments. Bed in a 4 share dorm Unit. Fresh linen, private bathroom, kitchen facility Ideally situated just minutes to the beach, shops, restaurants and all other amenities. Pippie's beachside spacious fully self contained apartments. Sleeps 3-4 people,fresh linen, private bathroom, kitchen facility Ideally situated just minutes to the beach, shops, restaurants and all other amenities. Pippie's beachside spacious fully self contained apartments. Bed in a 4 Bed shared dorm Unit. Fresh linen. deally situated just minutes to the beach, shops, restaurants and all other amenities. Self contained 5 Bed Unit situated in the heart of Rainbow Beach, just a short walk to the beach and Main street. 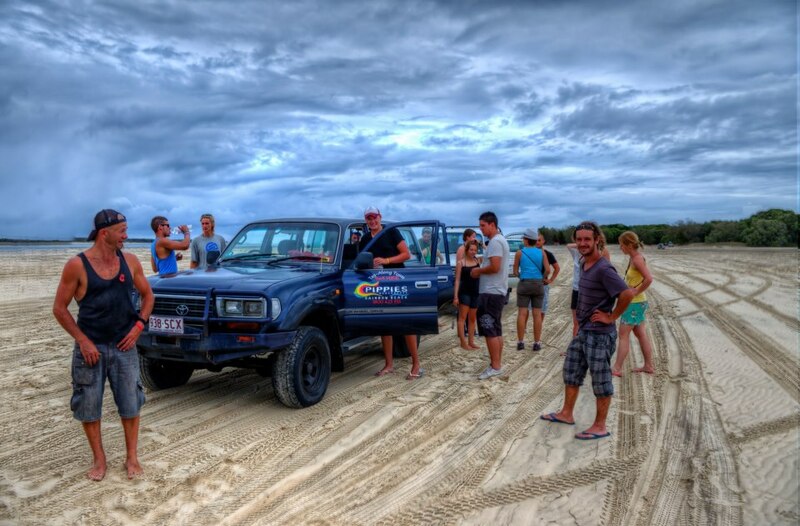 Experience the pristine beaches, amazing landscapes and abundant wildlife of Fraser Island as well as perfecting the art of driving on sand. Relax or party at our exclusive camping area, Cathedral's on Fraser, as Fraser Islands only private campground, Cathedral's on Fraser offer's a lush and pristine setting situated on 25 acres. · Permanent amenity blocks with hot showers, flushing toilets. A bed in a 8 share mixed dorm room. Shared bathroom facilities. All rooms include a free breakfast, free tea and coffee, free linens and free daily WiFi allowance. Key deposit of $20 or photo ID required at Check-In. A bed in a 5 share canvas hut situated in the gardens of Pippies Beachhouse. Includes Free Breakfast daily, Free 1/2 hr WIFI daily, Free Body Board & DVD hire and tea/coffee/sugar all day. Lovely Double Bedroom with shared bathroom. All rooms include a free breakfast, free tea and coffee, Linen and free daily WiFi allowance. Key deposit of $20 or photo ID required at Check-In. A bed in a 4 share canvas hut situated in the gardens of Pippies Beachhouse. Includes Free Breakfast daily, Free 1/2 hr WIFI daily, Free Body Board & DVD hire and tea/coffee/sugar 24/7. A bed in a 4 share canvas hut situated in the gardens of Pippies Beachhouse. Includes Free Breakfast daily, Free 1/2 hr WIFI daily, Free Body Board & DVD hire and tea/coffee/sugar all day. All beds in a 8 share mixed dorm room. Shared bathroopm facilities. All rooms include a free breakfast, free tea and coffee, free linens and free daily WiFi allowance. Key deposit of $20 or photo ID required at Check-In. All 4 beds in a 4 share mixed dorm room. All rooms include a free breakfast, free tea, coffee and milk, free linens and free daily WiFi allowance. Key deposit of $20 or photo ID required at Check-In. A bed in a 4 share mixed dorm room. All rooms include a free breakfast, free tea and coffee, free linens and free daily WiFi allowance. Key deposit of $20 or photo ID required at Check-In.